In a recent article for The Nonprofit Times, attorneys Tracy L. Boak and Karen I. Wu shared the five things regulators (including the IRS and state officials) believe nonprofits need to improve on to comply with state and local laws. Number one on their list? Issues related to governance. Specifically, boards of directors failing to maintain proper documentation of meetings or conduct robust discussions prior to making decisions, and serving as a rubber stamp for executive decisions. Concerns about governance ranked higher than concerns about overhead and fundraising costs as well as solicitation and use of donor gifts, both areas that represent significant compliance risks for nonprofits. As a former nonprofit executive, it’s easy for me to see why concerns about governance practices superseded concerns about fundraising. Nonprofit executives are generally very conscious of how money comes in to an organization and what that money is spent on. Yes, there are notable instances where prominent nonprofits were caught going on wild spending sprees, but in general nonprofits are careful when it comes to money. That’s a little easier to become sloppy with. Creating accurate minutes and properly documenting interactions between board members—particularly on important issues like compensation for executives—is easy to neglect, overlook, or just make a mistake on. And unlike draining your organization’s bank account on over-the-top employee perks and treats, a mistake related to governance isn’t likely to land you on the front page of newspapers. But it can land you in front of IRS auditors as well as state authorities. When an auditor asks how the Board approved a raise for the CEO or Executive Director, an answer without supporting documentation is an answer that can potentially result in serious trouble for your organization. Trade associations, school boards, credit unions—any organization with a board of directors runs the risk of serious compliance issues when it fails to practice proper governance, particularly when it comes to documenting important board decisions. In fact, failing to follow best governance practices in a school board can result in a scandal that damages an entire community’s brand, and improper governance practices at a credit union can result in a host of regulators making life a lot harder for the organization. When it comes to governance, compliance is essential for your organization. Failing to comply with governance requirements can create a host of legal and regulatory consequences. And even if you don’t end up in trouble with the IRS, failing to comply can damage your organization’s brand with funders, donors, members, foundations, or whoever you get your money from. 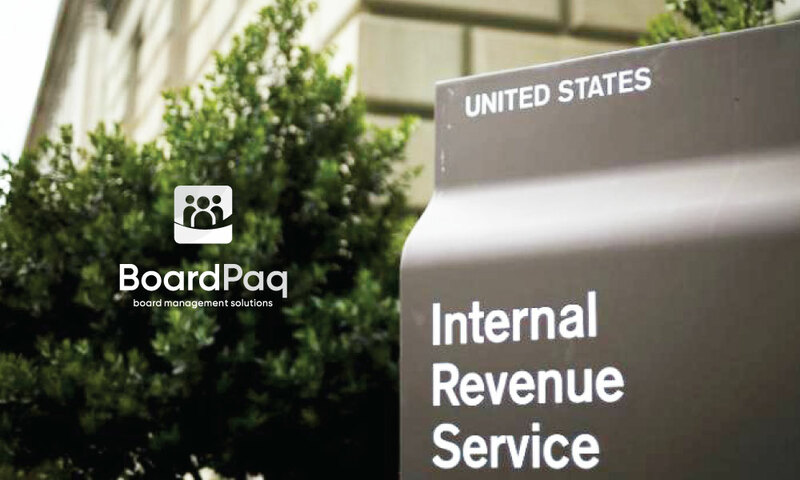 Fortunately, BoardPaq is designed to make compliance easier than ever. Tools like Minutes Builder make creating minutes simpler than ever, and BoardPaq is built with the industry’s highest security standards. It isn’t crowdfunding or figuring out how to use Snapchat to raise money. But compliance is critical—and BoardPaq is a cost-efficient board portal designed to make sure your organization stays on the right side of regulators.